A spike in oil prices has the world's third largest consumer of energy worried. India is seeking assurances from Saudi Arabia, OPEC's biggest producer, that oil prices will remain "stable and moderate," its government said in a statement on Friday. Energy minister Dharmendra Pradhan spoke with Saudi oil minister Khalid Al-Falih late on Thursday to "express his concern about rising prices and its negative impact on consumers and the Indian economy," it said. World oil prices have spiked by nearly 20% in 2018, and are up more than 40% over the past 12 months. President Donald Trump's decision to pull out of the Iran nuclear deal -- leading to concerns about Iranian supplies -- and a collapse in Venezuelan production have accelerated the price rise in recent weeks. Brent crude, the global benchmark, crossed $80 per barrel on Thursday, while US crude futures hit $71.60 per barrel early Friday, their highest level since 2014. Oil markets were already getting tighter following nearly 18 months of a deal between OPEC and Russia to curb their output to mop up a supply glut. "We're not saying oil should be $25 a barrel, it should be at a price that is reasonable," Sanjay Sudhir, joint secretary for international cooperation at India's energy ministry, told CNNMoney. "$80 is way above a reasonable price, this is not a market-driven price." Al-Falih told his Indian counterpart that Saudi Arabia would work with other OPEC producers and Russia "to "ensure availability of adequate supplies to offset any potential shortfalls," the kingdom's official news agency said. Saudi Arabia has been discussing how to respond to the recent market volatility with the United Arab Emirates, the current OPEC president, and they'll consult with Russia next week on the sidelines of a conference in St. Petersburg, the agency reported. OPEC producers are due to meet in June to review their production cuts. India has long been a major buyer of Iranian oil, though it has diversified its supply over the past few years through deals with Russia and, more recently, Saudi Arabia. The kingdom's state oil giant, Saudi Aramco, signed a a $44 billion deal last month to build a "mega refinery" in India with a consortium of Indian oil companies. Indian concerns about oil price rises are understandable. Low oil prices played a big role in making it the world's fastest growing major economy in the recent years. Every $10 increase in the price of a barrel knocks 0.2% to 0.3% off India's growth rate, according to the country's latest economic survey. And growth in energy demand will be faster in India over the next two decades than any other country in the world, OPEC said in its World Oil Outlook 2040 released in November. 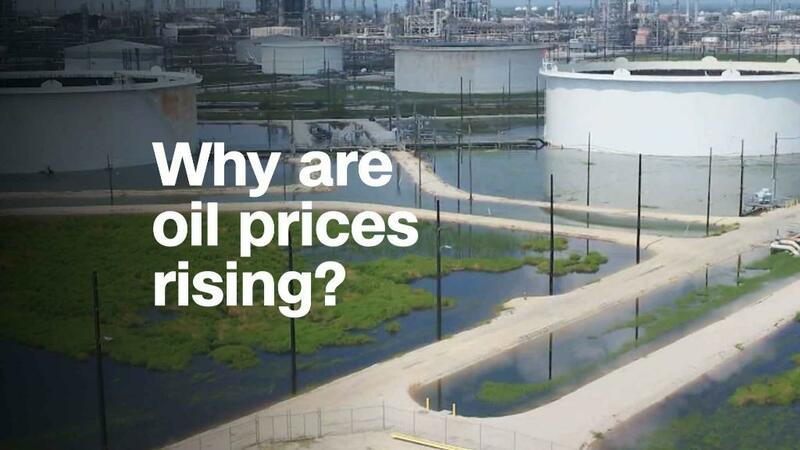 That demand could be threatened if oil prices keep rising, however. "[India's] consumption will struggle to continue at its current pace, should oil prices continue to rise," analysts at BMI Research wrote in a recent note.